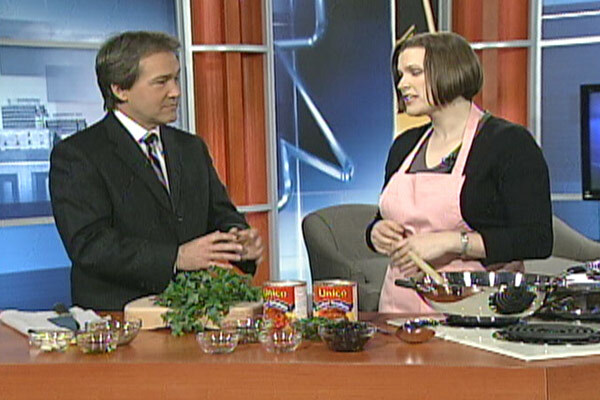 Amanda with Tom Knowlton on the CTV News at Noon on Friday, March 2, 2012. So today I was on the CTV Southwestern Ontario News at Noon to share my recipe for Pasta Puttanesca (which you’ll find below). Without further ado, click here for the link to the video clip. Amanda you are a natural! I’m going to get some anchovy paste right away.